Why Are Youth Turning to Alcohol and Drugs? Screenwriter and film director Nag Ashwin asks Sadhguru about the increase in alcohol and drug addiction among young people. 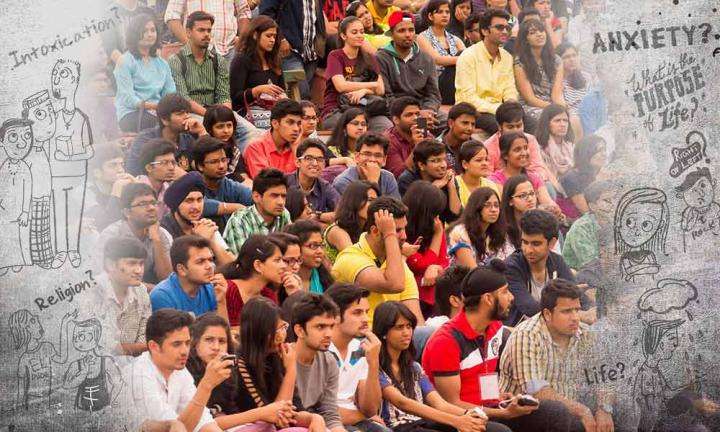 Sadhguru outlines the many reasons why more youth are turning to substances, and offers simple solutions to help them learn to enjoy the other, far greater pleasures of life. Nag Ashwin: I’d like to know the truth about the increase in alcohol usage and addiction in my generation, the younger generation. People used to drink alcohol for ages, since prehistoric times, but this is the only time I feel that very young kids, kids in school, are starting to use substances as a safe haven, as an escape. That feels very scary and dangerous. I want to know why you think kids are using this, and I want to know what you think is the best way, or a more organic way to get people out of it? Sadhguru: Namaskaram, Nag! I like your name. Cobras have always been very dear to me. If you do not know this, cobra venom is also an intoxicant if it is used in a certain way. 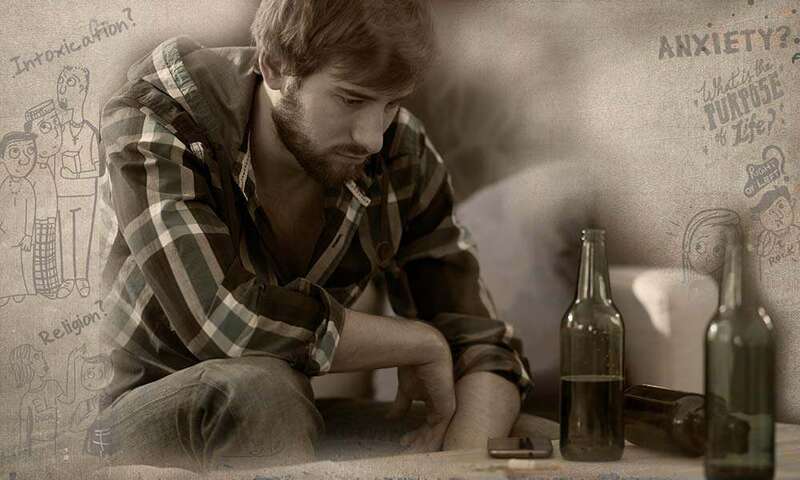 There are many reasons why the need for intoxication is going up in the society. One basic thing is, people are no longer fighting for survival. A large segment of the society has moved out of survival mode. When people move beyond survival, they must find other areas of interest and passionate involvement. If that does not happen, the need for pleasure and the need for intoxication will naturally go up in that given society. This is why it is very important that even if parents are affluent, their children should not know affluence until they come to a certain age. The necessary sense of discipline, involvement, and engagement with life has to happen before wealth comes into somebody’s life. Otherwise, wealth will become a burden that you carry on your head. That is what is happening to this generation. In this culture, even the kings sent their children to gurukulas where they studied with other children, and everybody lived with very basic needs. The necessary sense of discipline, involvement, and engagement with life has to happen before wealth comes into somebody’s life. Otherwise, wealth will become a burden that you carry on your head. That is what is happening to this generation. Another reason is that these days, largely, both parents are working. At an early age, the attention that the child needs is not being given. Naturally, various deviances are taken to. And there is not enough physical activity. When you do not enjoy the fitness of your body and the vibrance and vitality of your system, then the only other thing that you will enjoy is intoxication. And now, drugs are not only for intoxication; they also makes them feel vibrant for a few hours. So, massively, the generation is moving in that way. One more significant reason why this generation is moving towards these drugs is that, in their minds, the heavens that were promised are collapsing. One more significant reason why this generation is moving towards these drugs is that, in their minds, the heavens that were promised are collapsing. They may be still unable to articulate it very clearly. They do not have the clarity or the courage to say it. But for a long time, we have managed people by saying, “If you abstain from all these things, in heaven all of this will be available in huge quantities.” Now the heavens are collapsing, so they are trying to drink it up right here. Like this, there are many aspects. Fundamentally, there is no need for an individual human being to physically strive for his survival. That itself makes the need for intoxication greater. What are the solutions? It is very, very important for those of you who have growing children to involve them in sports and other intense activities which engage them with nature: trekking, mountain climbing, swimming, etc. They must become passionate about something like art or music. They must learn to know the pleasures of their intellect, their emotion, their consciousness. When one begins to enjoy the pleasures of the mind, of the sharpness of one’s intellect, of emotion, and of consciousness, then indulging in the pleasures of the body will naturally come down dramatically. So it is very important that children should be passionately involved in a variety of activities. This will bring down the need for alcohol and drugs. It is very important that children should be passionately involved in a variety of activities. This will bring down the need for alcohol and drugs. But we must understand that today, alcohol is being heavily marketed. The movies are promoting it, and everywhere it is being made into a social thing that unless you drink, you are no good. People ask me, “Sadhguru, you drink?” I say, “Yes, I drink water.” They look at me like I am a strange creature. “Just water?” Yes, the most fantastic drink you can have is water because seventy percent of this body is made of water, not alcohol. This human system is the greatest chemical factory. If you want intoxication, you can generate it from inside – a kind of intoxication which makes you inebriated and super aware at the same time. This is the kind of intoxication we should introduce to our children and youth. This is why we are striving to bring the technology of yoga into everybody’s life. If you go into certain states within yourself, you will know intoxication that no drug and no drink can ever create. At the same time, you will remain super aware, and it will do miracles to your health and wellbeing. It is time that we learn to do things in a more technologically enhanced way. We have ways that people can turn inward and know the highest pleasures of life. We must make our youth experience this. Unless you give them an alternative, they will go back to the bottle or pill. We have ways that people can turn inward and know the highest pleasures of life. We must make our youth experience this. Unless you give them an alternative, they will go back to the bottle or pill. Right now, you need chemical help to be healthful, peaceful, joyful, or to experience anything within yourself. When a generation uses chemicals like this – if ninety percent of the people start using pharmaceuticals and other types of chemicals on a daily basis – then the next generation that we produce will be less than who we are in many ways. This is a crime against humanity. All of us should wake up to this fact and do what is needed. Are Ramayana and Mahabharata Myths? 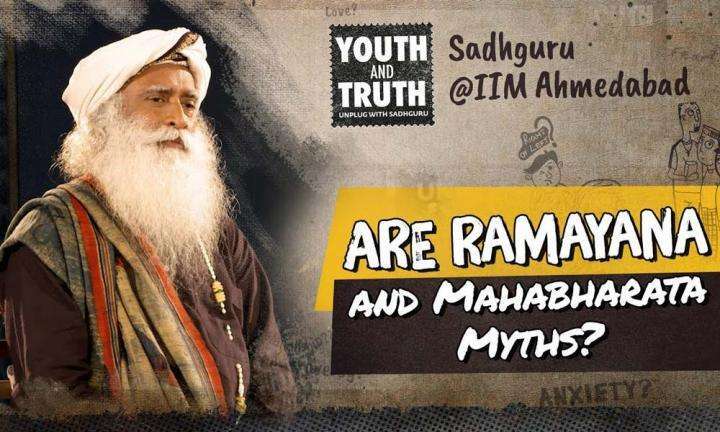 Sadhguru talks about the oral tradition in India, and how stories were told to bring out certain truths, not facts, at IIM Ahmedabad. 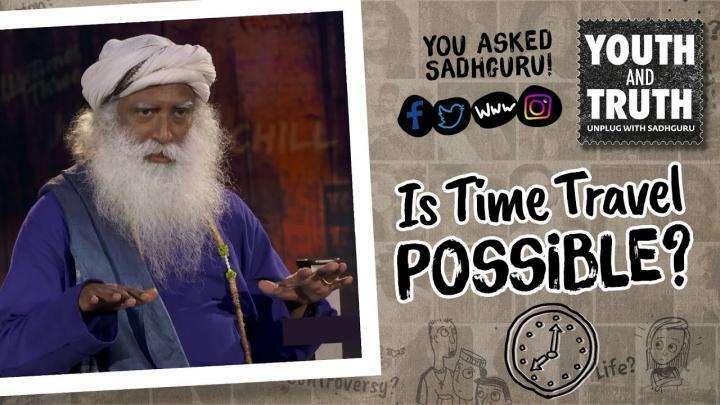 A question from social media is posed to Sadhguru at College of Engineering, Guindy, Anna University in Chennai about time travel.